Our exclusive UtraStep™ feature makes your pontoon easily accessible while trailered. Make your trailer secure­–and easier to garage–with our patented TrailGuard™ removable tongue. 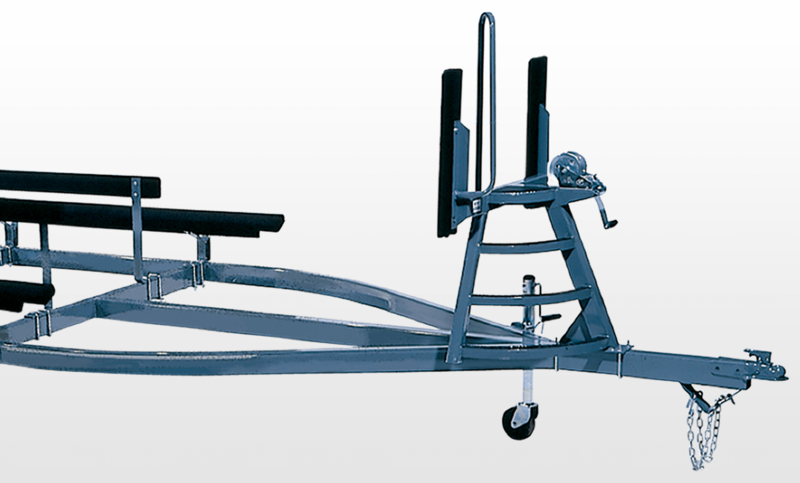 Adjustable Reinforced “Y” Brackets & Wind Guides safely guide you onto the trailer. Brake Lines and Wiring are protected inside steel tube. Fully Carpeted Bunks give your boat added protection when launching and trailering. One-Piece Frame Construction uses a minimum number of fasteners, making it more durable and longer lasting with fewer squeaks and rattles. Powdercoated Axle Beam gives you years of protection. Saf-T-Lube Hubs make it simple and easy to grease your trailer’s inner and outer bearings. Steel Fenders are reinforced for maximum durability. Wireloom Wire Harness uses a heat shrink process for a durable all in one package. Zinc Plated Hardware holds up well under corrosive conditions. Aluminum, Chrome, or Silver Wheels look great when trailering. Diamond Step Pads for enhanced appearance. Radial Tires are available and offer a smooth, durable ride. Drum and Disc Brakes are available and are recommended or required when trailering in some states, depending on the weight of your boat. TrailGuard™ Security Tongue easily detaches from the trailer, making it virtually impossible for a thief to drive away with your boat. Tire Carrier durable enough to handle years of over-the-road use. 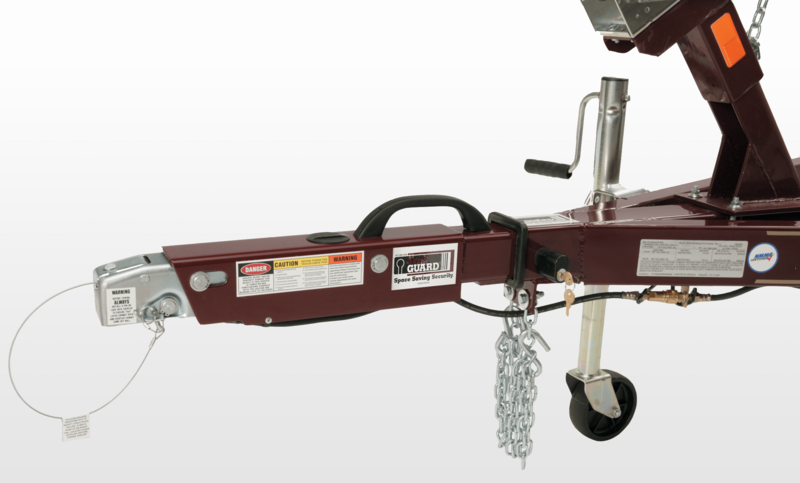 UltraStep™ patented feature makes getting on and off a trailered pontoon safe and easy. Winch Stand welded with an adjustable roller bracket for added security. Plastic Bunk Covers provide gentle, long-lasting protection for your boat. Front & Rear Stiffeners for pontoons securely hold your boat in place. LED Lights available for both tail and marker lights.